The outside of your building is the first thing visitors and employees see. You want them to see a building that is clearly cared for and that shows off the company in a great light. You only have one opportunity to make a first impression. aZtec currently provide an internal and external commercial window cleaning service for offices, showrooms, schools, GP surgeries, medical centres and warehouses, as well as other commercial premises. By using a Reach and Wash system with purified water, we are able to clean multiple building levels from the ground. Purified water is environmentally friendly because detergent is not needed. Should we need to work at height in difficult to reach areas, we will be able to use mobile access equipment to get to higher level windows. In addition to external and internal window cleaning, aZtec can also arrange for the cleaning of commercial building facades. Does aZtec clean internal glass walls within an office? Yes. 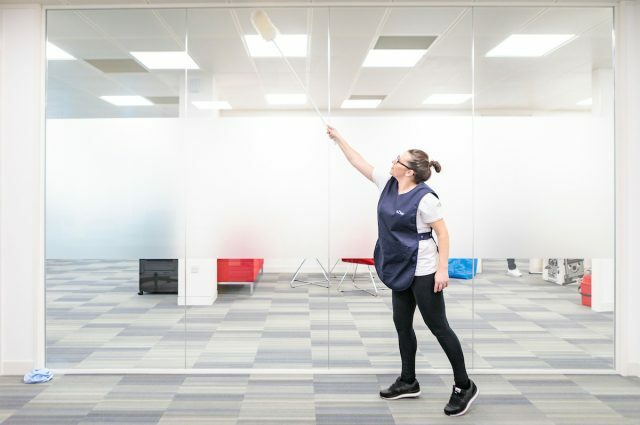 Our cleaners can spot clean finger marks on internal glass on a daily or weekly basis, however our window cleaning service would be suggested for a full professional clean of internal glass within an office environment. How does aZtec quote for commercial window cleaning? 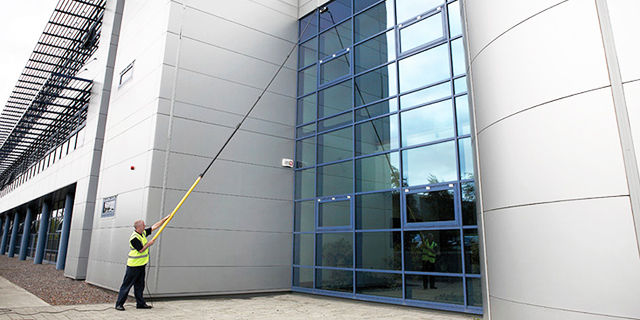 aZtec will send a specialist window cleaner to your commercial premises to quote the job free of charge. A quote will then be emailed to you in the next few working days. Is it disruptive to have our office windows cleaned inside and out? Our commercial window cleaners turn up on a regular basis to many customers and are finished before most customers even realise they are there. 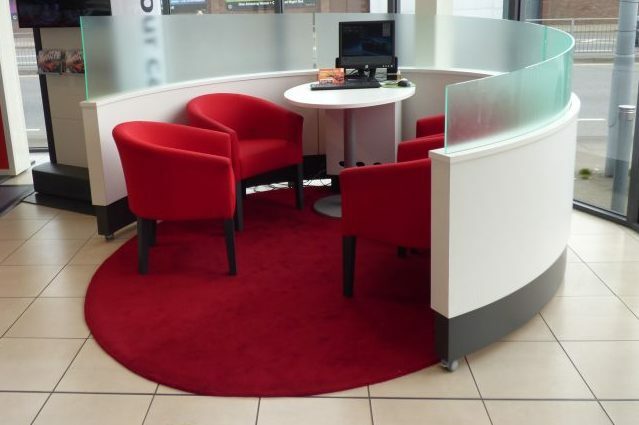 We aim to work around you and cause as little disruption as possible. 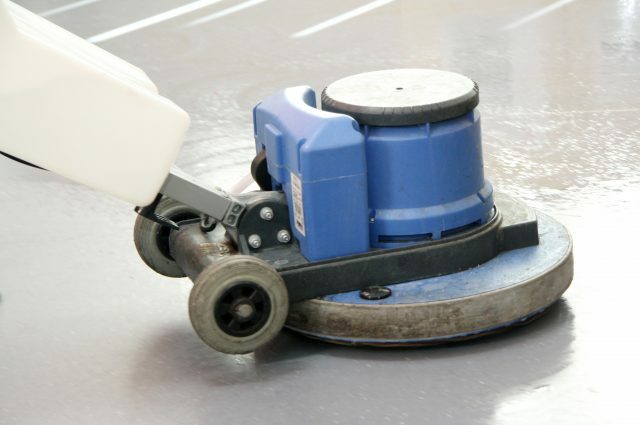 We have been providing businesses with commercial cleaning including window cleaning since 1979. 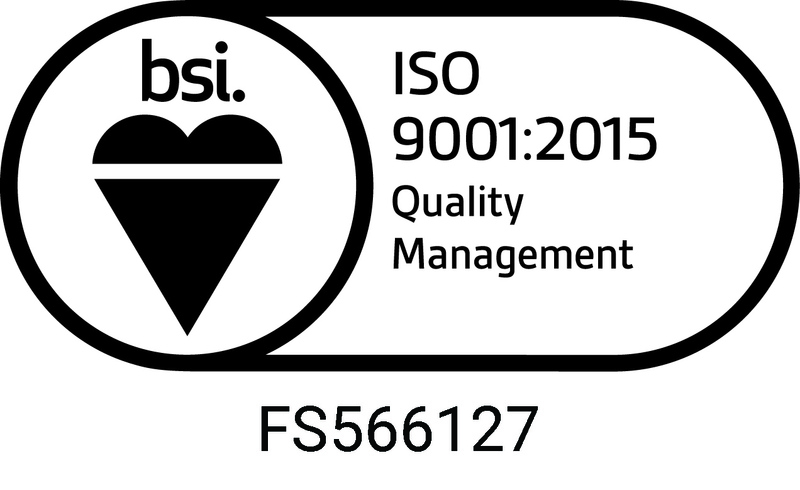 We are Safe Contractor Approved and conform to current Health and Safety regulations. We use a reach and wash system where applicable. This new technology allows us to clean higher buildings from the ground without extra cost to our clients. 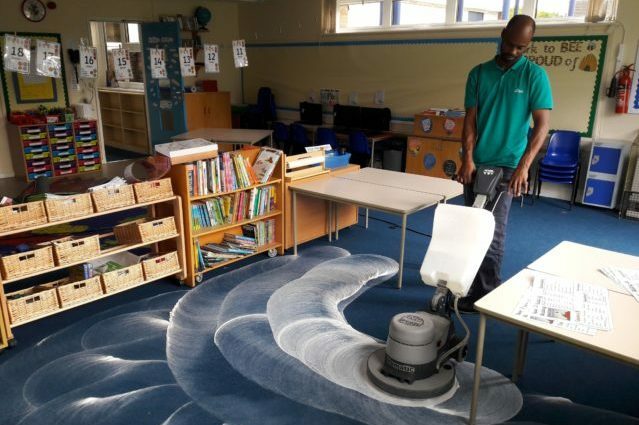 aZtec provide commercial cleaning and window cleaning to offices, schools, showrooms and other businesses in 9 postcodes surrounding Milton Keynes. aZtec has provided window cleaning for decades, simplifying the procurement of yet another cleaning service for local offices and businesses alike. 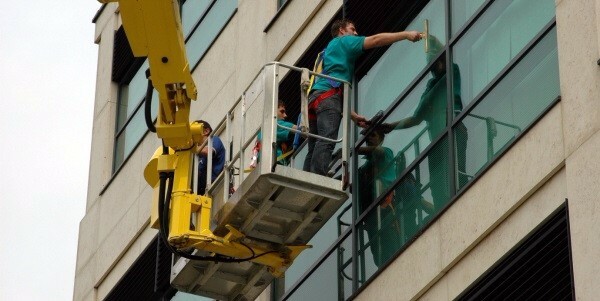 Our professional team are full time window cleaners who have a breadth of experience and equipment. The service we receive is personal and a job well done. We have recommended aZtec to our neighbours in the past and will continue to do so in the future. 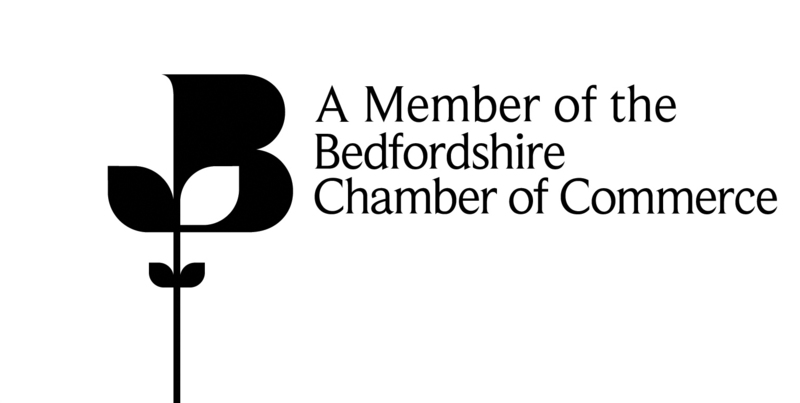 If you’d like more information on our window cleaning service, please get in touch!